I recently purchased a 2005 Ranger 4x4 Edge SuperCab. I am trying to find what options this truck has...gear ratio, etc. Is there a web site I can enter the VIN and see the build sheet or options? Last edited by simpkinst4; 04-06-2010 at 11:43 AM. 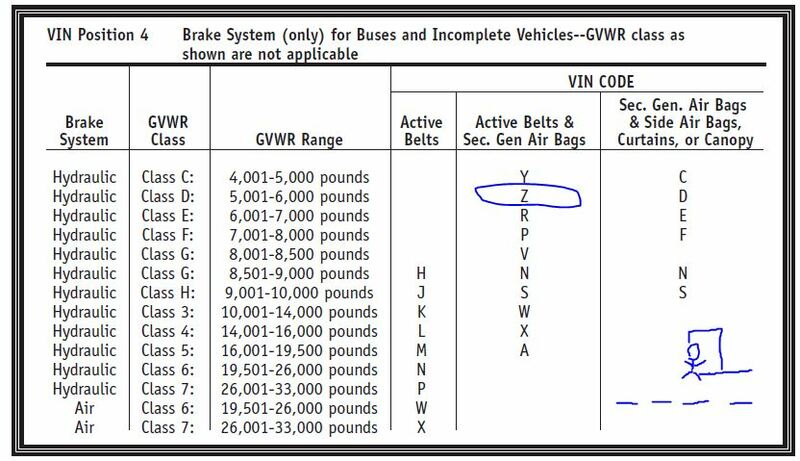 The site you're quoting explains what the Z stands for, it's basically the GVWR (gross vehicle weight rating). Right...but all the charts do not go up to Z........comes up as unknown. Yes, actually it does go up to Z. I forgot the weight it specified... i want to say 5,000 - 6,000 lbs. Last edited by simpkinst4; 04-06-2010 at 01:36 PM. Right.... I said "from the link you're quoting" which happened to be the Ford.com link that you were quoting. thanks for that....reading must not be my strong point.